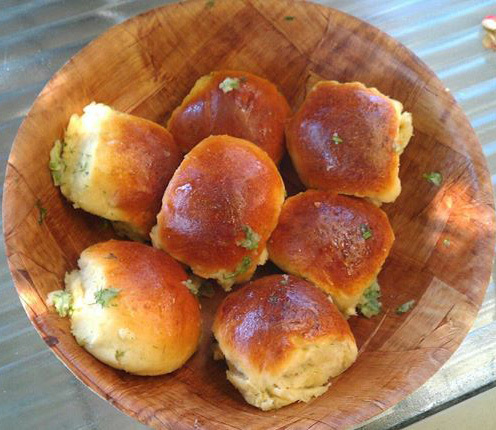 Pampushki, are Ukraininan baked rolls, Ukrainian take on garlic bread, that are usually served with red borsht, they are light and soft and Oh So very good! Add water with yeast, sugar, salt and a tablespoon of oil into the stand mixer with the hook attachment. On medium power start adding the flour until well incorporated. 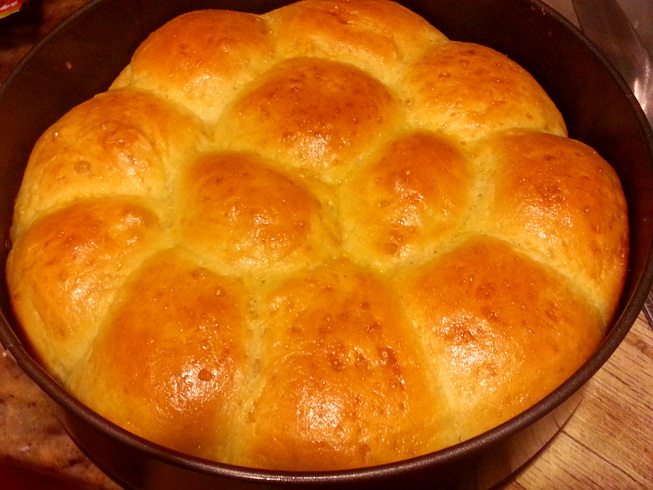 Remove dough from the mixer and knead the dough by hand to form a ball. 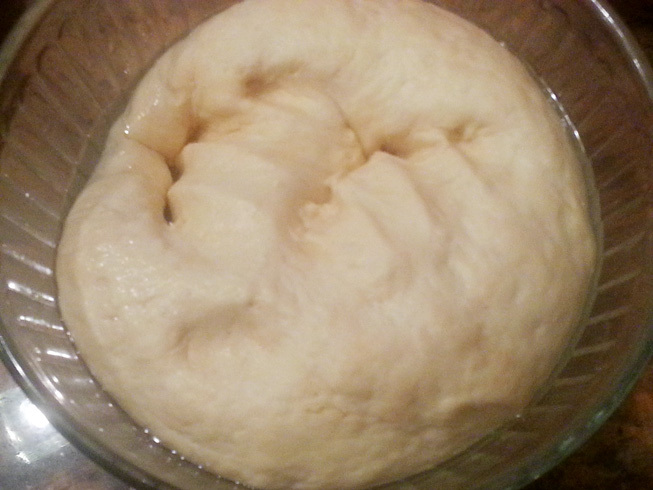 Place dough in a medium oiled bowl cover and let stand in a warm place for about an hour until the dough doubles in size. Deflate the dough, and holding the dough in one hand pinch off walnut sized ball, and place them in a well oiled baking dish. I used a 10″ spring form pan for easier removal afterwards. 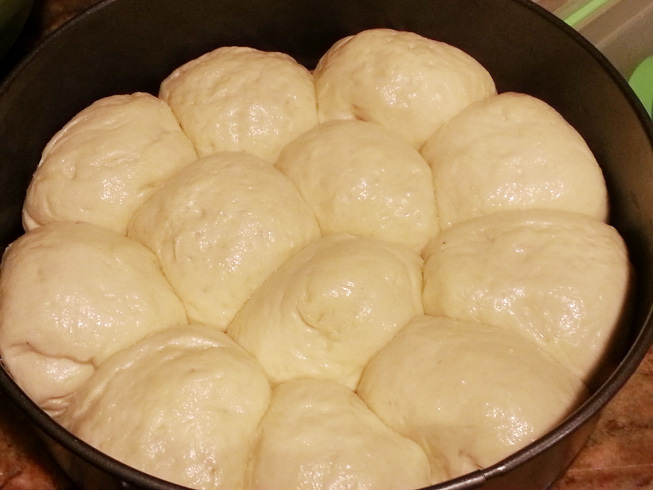 Cover the pan with a kitchen towel and let the dough rest for another 30-40 minutes. 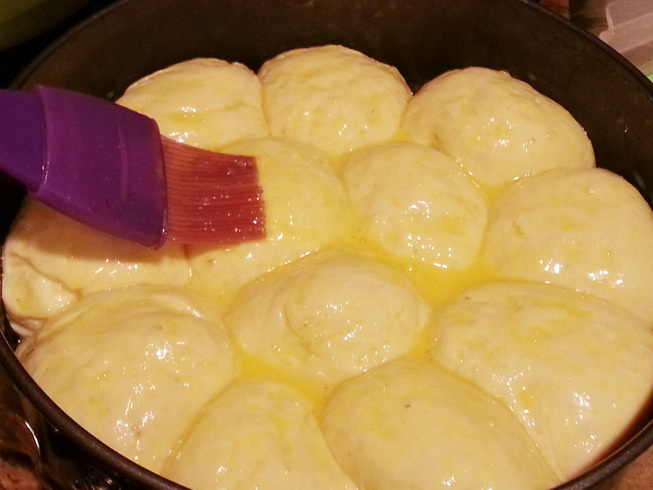 Beat the egg in a bowl, and brush the pampushki with the egg wash.
Place the pan in the oven and bake for about 30-40 minutes. To make the sauce: – crush garlic with the salt add water and oil. 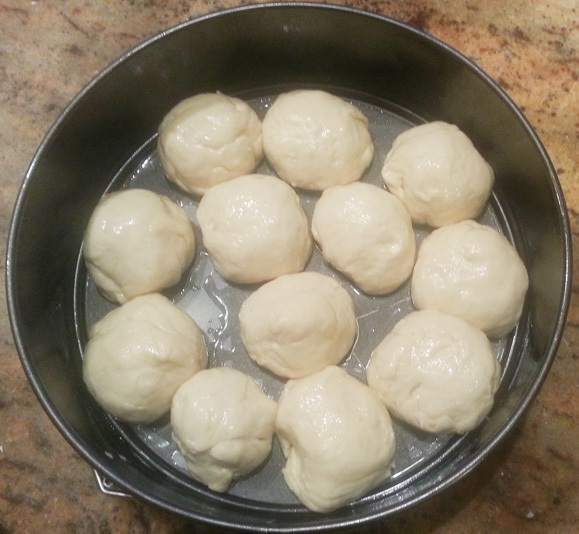 When the pampushki are done, cool them and then pour the sauce over. Gorgeous. 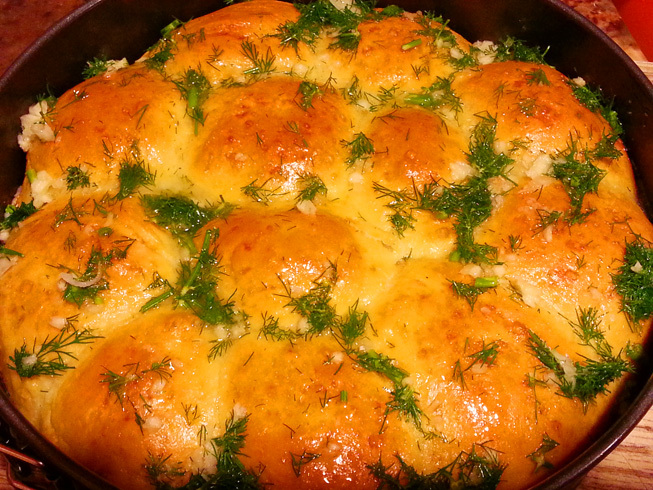 I just got a Ukranian cookbook and I was intrigued by the bread recipes. Reading this post, I am a lot more confident that I could find success with them.